With the development and production of modern technology for harvesting and transplanting, Dieter Opitz, the founder of Optimal-Vertrieb Opitz GmbH, set a milestone in nursery and landscaping technology. 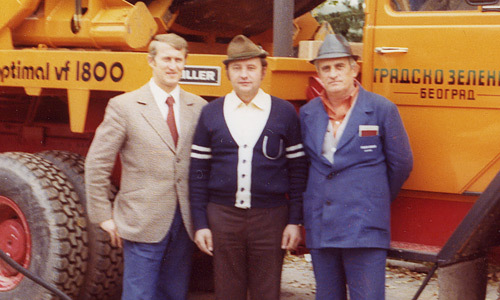 The success story began in 1964, when Dieter Opitz became self-employed as a young landscaping contractor, with much enthusiasm and little starting capital. As a landscaper with a keen interest in engineering, he devoted much energy to the development of rational working methods. In 1971, he introduced his first tree transplanting machine, the OPTIMAL 1800. Then it happened in rapid succession: in 1974, the OPTIMAL 2500 followed. With a root ball diameter of 2.50 m, it was the largest tree transplanting machine in the world. 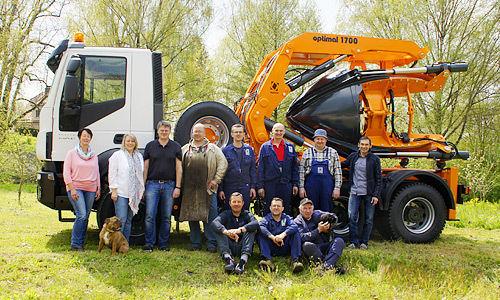 Optimal-Vertrieb Opitz GmbH was founded in 1977, and soon the product range was expanded to include tree spades for nurseries, with diameters of 70, 100 and 120 cm. The machines developed at that time brought enormous relief of digging, and ever since they are indispensable in the tree nursery and landscaping. Neatly severed roots, root balls in the shape of the root system, gentle working in tree rows and safe transport - OPTIMAL tree spades facilitate a cost-effective and time-saving operation. Key factors of the design include flexibility and ease of maintenance, in addition to functionality and durability. 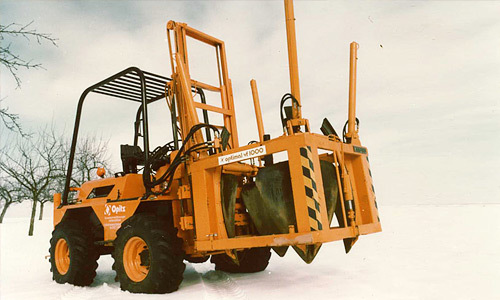 Dieter Opitz soon realized that his machines could also be marketed abroad. 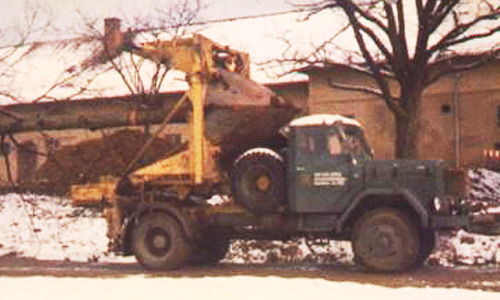 Since the 1970s he has been demonstrating and operating his OPTIMAL tree spades not only in Europe, but also in the Near and Far East, as well as in the Americas. Since the beginning of his vision, Dieter Opitz strives for continuous development and he is in constant exchange of experience with the users of his products. In 2006 Dieter Opitz handed over the management of his companies to the next generation. Since then Optimal-Vertrieb Opitz GmbH has been successfully managed by his daughter Christine and her husband Roland Schlesag. Thanks to decades of experience in development and production, Optimal-Vertrieb Opitz GmbH continues to assert itself as market leader and offers its customers innovative and practical all-round service. In the future, too, the entire team will work to make good things better, staying in a permanent exchange with customers and suppliers. We will be happy to receive your suggestions and wishes, concerning the optimization of our products or the development of machines for unusual applications.